The ability to use words to tell a story, to inform, to inspire and to educate has helped feed my passion. Words are powerful. When I was given a platform to use my words, I realized my responsibility was quite simply to – help others – use their words. I’m always fighting for the underdog. I don’t know where I got it from, but I’ve been like that all my life. That’s why I love journalism. 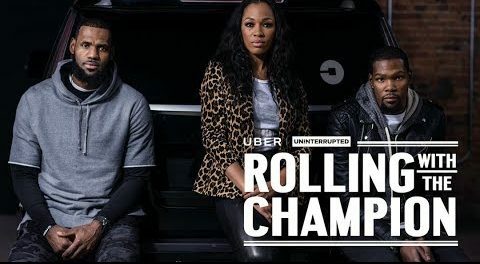 LeBron James and Kevin Durant join Cari Champion for the Uber ride of a lifetime in Akron, Ohio to discuss NBA All-Star Weekend 2018 goals, the pressures of being a top athlete, social injustice and the current climate in politics. 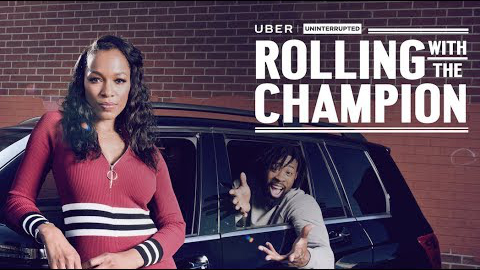 While catching a ride with Cari Champion in her Uber, 5-time NBA All-Star Chauncey Billups explains how the nickname “Mr. Big Shot” came about, how he survived living in several different cities during his career, and his invaluable advice for rookies in the game. 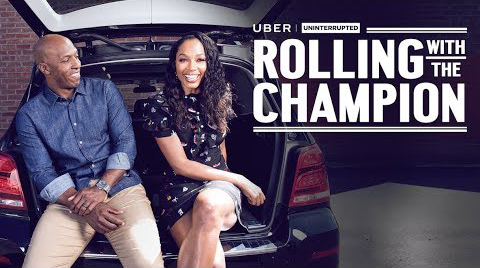 Los Angeles Clippers center DeAndre Jordan joins Cari Champion in her Uber to provide insight on life with the “other LA team”, playing alongside the NBA’s best dressed, and even some tips for in-game facial expressions. 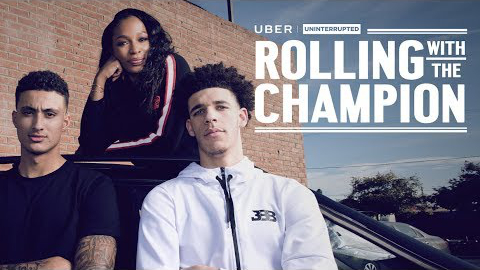 In the first installment of ROLLING WITH THE CHAMPION, Cari Champion is joined in her Uber by Los Angeles Lakers rookies Lonzo Ball and Kyle Kuzma to talk new fame, rappers, and freestyling before getting them to their final destination. NBA veteran Paul Pierce hops in Cari Champion’s Uber to reveal his thoughts on today’s players, the King of the league, and the long-standing Celtics–Lakers rivalry. 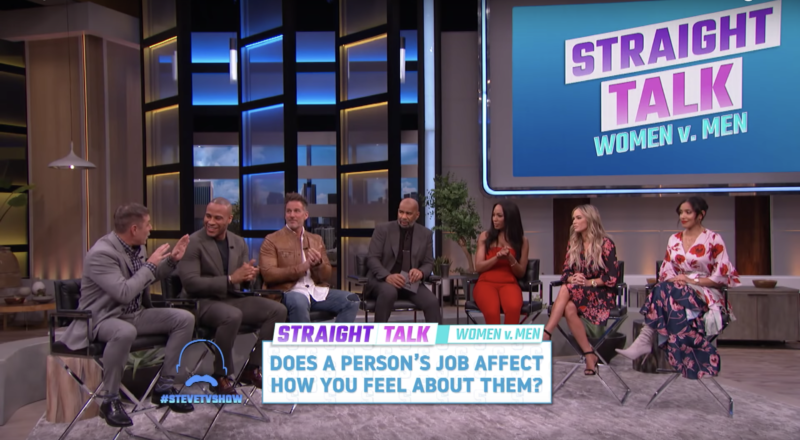 Cari Champion joins the Steve Harvey show Straight Talk as a guest panelist in a fun and honest discussion: Does Your Partner’s Job Matter? 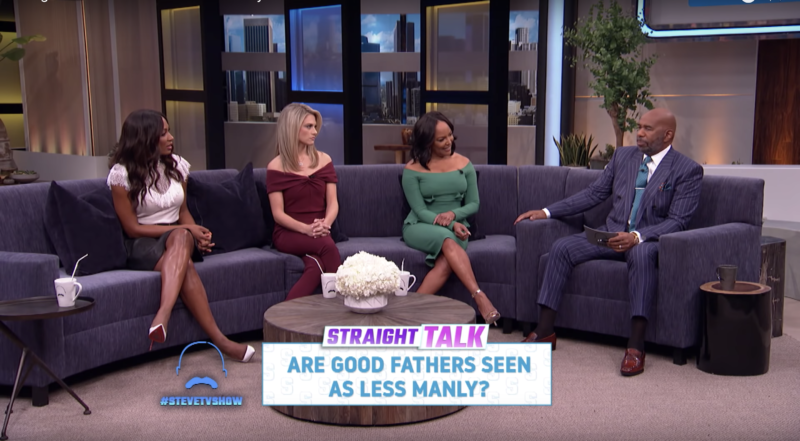 Cari Champion joins the Steve Harvey show Straight Talk as a guest panelist in a fun and honest discussion: Is Fatherhood Not Manly?